Patrick: You have some really wonderful things to say about solitude. In The Art of Stillness especially where you talk about it not being about turning your back on the world but fostering a more loving or closer relationship with the world. Could you elaborate on what it means to retreat from the world in this paradoxical way in which we become closer to it? 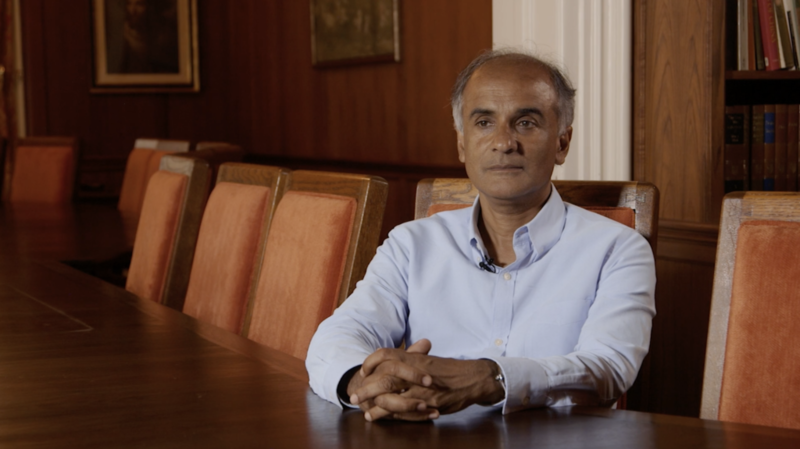 Pico Iyer: I think when I was a kid I thought that going on retreat was about stepping away from the world and it was only when I began doing it myself, and when I observed various monks in many traditions that I saw it’s about stepping towards the world and really about learning how to love the world again. I think in the clatter of our day to day lives we’re filled with trivia and distractions that really take us away from what we care about most. And to me one of the beauties of stepping into silence was that it was a clarifying mechanism that quickly brought to the top everything that meant the most to me that sometimes got lost in the rush of everyday life. And so again, before I experienced silence first hand for days on end I thought that it was about austerity and privation and as soon as I was there I found that it was really about coming to your senses, waking up in very sense of that word. Learning to look, to listen, to taste, to hear, and to stare unflinchingly at the way things really are. I thought it was a movement away from real life and a form of escaping real life and then when I experienced it I realised that it was about embracing real life. Again, in every sense of that word embrace which is throwing your arms around it, living closely with it, and finding even more to appreciate in it. I know that for example businesses love to go on retreat because every retreat is an advance and as they see it, it makes people more productive and profitable and no doubt it does, but I think in an inner way that’s where you really notice how retreating from the cacophony of the world is stepping towards everything that’s essential in you and in the world around you. In that sense it’s a pilgrimage and of course many traditions talk about the world of Caesar and the world of God and by definition to step away from the world of Caesar is to step towards the world of God however you define it, whatever terms you want to make. But certainly it’s a step towards reality. When I was 33 and writing for Time Magazine and I’d been living in New York City I thought real life meant the cacophony of Times Square and as soon as I stepped in silence I realised this is much more real because it’s more changeless, it’s more close to the heart of me, and it’s about everything important, and that Time’s Square actually is taking us away from real life. The following interview took place in Santa Barbara, CA on July 31, 2015 for the film In Pursuit of Silence. This is an excerpt from a more extensive transcript which will appear in the forthcoming book Notes on Silence, part commonplace book, part production diary written and edited by Patrick Shen and Cassidy Hall.